Open Stitches were not always popular in needlepoint. in fact for decades after I learned to needlepoint in 1970, it was considered a fault if you left your canvas exposed. With many stitches it’s still a fault, but today our needlepoint is full of so many stitches that have open threads or intersections. These range from techniques that expose canvas such as Blackwork and Pattern Darning to skipping threads between rows and stitches that deliberately leave some intersections open. It’s a fantastic time to be exploring these stitches and that’s why I’m excited about 25 More Open Stitches, the next 25 Stitches class. This email class is an easy way to increase your knowledge of needlepoint by creating a stitch notebook of these fantastic stitches. Then you’ll put them to use in a stitch sampler. 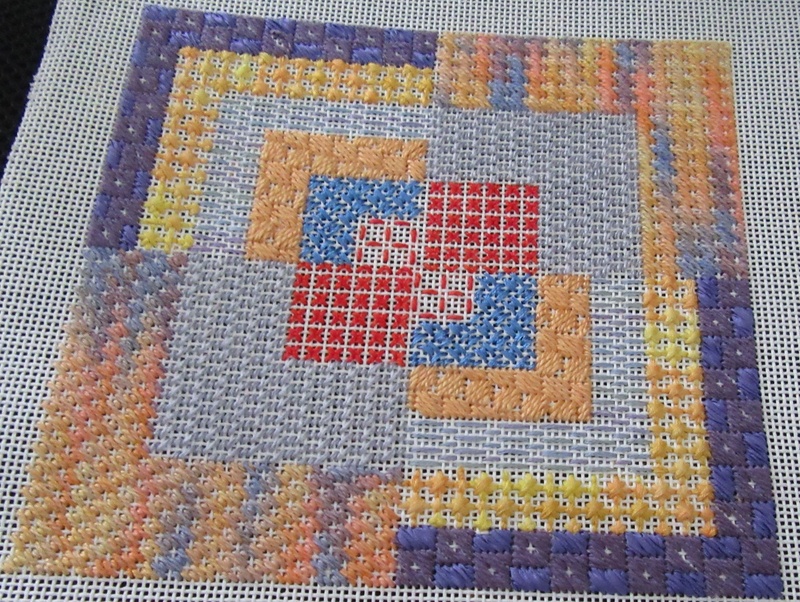 The class has 25 new open stitches that use a variety of techniques. Unlike in-person classes, this class comes to you as three email attachments, sent once a month. That means you can take it when it works for you, at your own pace, using the materials you like. You won’t need to travel to a class, carve out time in your schedule for meetings, or stitch a project you don’t like because you want to learn the technique. It truly is needlepoint education your way! Best of all, it’s one of the best bargains in needlepoint. The class is only $29. It includes not only the stitches, but instructions for the sampler and a bonus lesson on creating a stitch notebook. You’ll love what you learn and you’ll use it on your next project. The class begins May 15. Lessons will be sent out, once a month in May, June, and July. To join the class, just sign up using PayPal or a major credit card by using the button below. If you would like to take the class but would prefer not to use PayPal, please contact me at the email below. I hope you’ll join me for this exciting class.